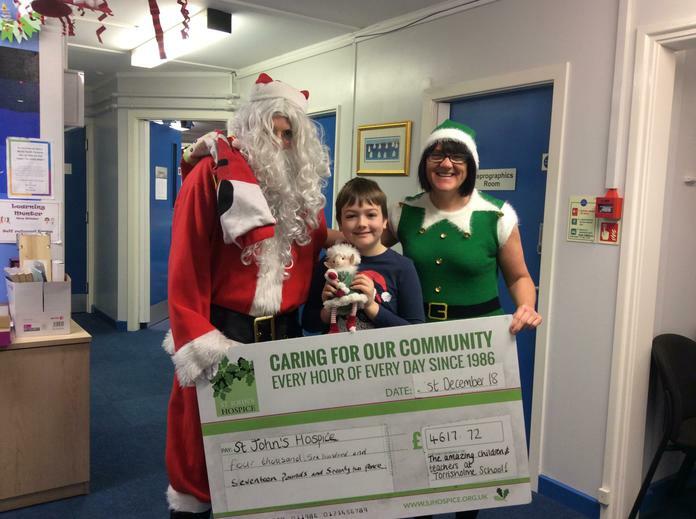 We had a visit from Santa and one of his elves from St. John's Hospice this morning and we were able to present them with a cheque for an amazing £4617.72! We also had a beautiful elf donated by Armstrong & Ward in Kendal which we offered as a prize for the family who raised the most money. We had lots of amazing totals from families - a number over £100 - but the prize was won by Sam, who raised an incredible £548!! Thank you to everyone who donated and collected.